Are you really seeing things as they truly are? According to some very recent research into a genetic mutation in the X chromosome, you’re probably not. Don’t feel too left out, most people aren’t, however, there is a small fraction of individuals that regularly see the world in a completely different way than the average person. They are known as tetrachromats and have a special mutation in their X chromosome that allows them to see close to 100 million colors. That’s 99 million more than the average human being who only sees around 1 million colors. Our eyes are a very complex light filtering and reflecting system that not only provides us with vision, but also provides us with the ability to see light waves reflected in at varying degrees in the color spectrum. When light enters our eye it also passes through three types of cone-shaped photoreceptor cells that filter the light and allow us to distinguish colors. Tetrachromats are singular and rare because the genetic mutation in their X chromosome results in the eye having four of these specialized cone-shaped photoreceptors instead of three. The extra conical photoreceptor creates a burst of additional colors usually resulting in most solid colors being seen as more of a kaleidoscope of many different shades. Even shadows instead of being just gray may be seen as a combination of blues, purples and green. Tetrachromats are extremely lucky. Many others who have mutations similar to this end up experiencing colorblindness instead of tetrachromats. Tetrachromats are also all female, as the mutation has to occur on BOTH X chromosomes. Currently only one percent of the world’s population is thought to be tetrachromatic. Many tetrachromats are still unconfirmed as diagnosing tetrachromacy is still very difficult. Genetic researchers hope to find more additional tetrachromats in order to learn more about how their more complex eye structure impacts their neurological development. A lot still remains unknown about tetrachromats and how their sight works, but it is truly fascinating to consider that the person next to you may be seeing the same world in a vastly different way. 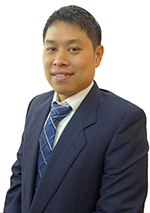 Garie Xu is the Sales Engineer of Konica Minolta Sensing Singapore Pte Ltd. Graduated from a manufacturing engineering background, he is mainly involved in sales, seminar, training and coaching in the field of light and color management. With his prior 3 years’ experience in the oil and gas industry and 2 years in Konica Minolta, he is providing solutions to the many industrial applications. He has also conducted seminars and workshops to educate the industry on instrumentation technologies and color science.